Amanda feels the counseling relationship should provide a safe, respectful, supportive and confidential environment that encourages one to gain an understanding of self and promote positive changes. Seeing individuals as unique and valuable, she utilizes several different counseling strategies to empower clients to recognize their God-given strengths and to understand they do not have to face life’s challenges alone. Amanda feels so blessed that God has provided her the opportunity to walk beside individuals in their quest to find fulfillment, happiness and thrive in their current life situations. Amanda has provided counseling services to children, families, teens and adults since 2002. While working in the school setting for ten years, her responsibilities included providing counseling, developing and implementing behavioral and educational plans, leading social-skills groups, using play and art therapy techniques, providing suicide and homicide intervention, conducting in-home training and serving as the Certified Trainer for Nonviolent Crisis Intervention. Amanda was honored to receive the Gold Star award in 2015 from NISD for her outstanding work, dedication and attitude. Prior to her time in the schools, Amanda worked as the abuse counselor for the Crisis Center of Anderson and Cherokee Counties. Amanda received her Bachelor’s degree in Child Development and Family Living and Master’s degree in Community Counseling from Stephen F. Austin State University. During this time she completed internships with Heartbeat Pregnancy Center and SFASU Career and Counseling Center. Upon completion of her master’s degree, she obtained her professional counseling license and fulfilled the requirements to be a Supervisor for LPC interns. Amanda believes God has placed a desire in her to help children and families in the Nacogdoches community. In addition to helping others in the counseling setting, she also enjoys serving on various boards and fundraising committees that bring services and healthy activities to our community. A few of her favorite services have been the Nacogdoches Harold’s House, Boys and Girls Club, Public library, Christian Women’s Job Corp, Project Supply our Schools, Love in the Name of Christ, and Hope Food bank. She attends church at First United Methodist and is active in teaching Sunday school and serves on the Children’s committee. She feels that reaching out to our community in this capacity is part of fulfilling the plan that God has for her. During her time at SFA, she met Keith Cordova, a Nacogdoches native who also attended SFA. They were married in 2004 and have two bundles of joy, Alaina and Reese. Denise is a Licensed Clinical Social Worker (LCSW) with over 30 years of professional experience in the field of Social Work. She began her counseling career in 2003 in West Memphis, Arkansas. There she worked with children and families in helping them face the challenges of poverty and broken/dysfunctional families. Denise enjoyed sharing in the hard-won rewards and blessings of her challenging labor in this field. Prior to that time, she worked for the State of Tennessee as a social worker in Corrections, Child Welfare and Foster Care. In 2006, she moved to East Texas to be closer to family and began working with the elderly and disabled in long-term care facilities. This has become a primary area of expertise and a vital and cherished part of her career. Denise joined Crossover in 2014 and looks forward to continuing her work with adults and seniors who have depression and anxiety disorders often associated with chronic illness or painful losses in their lives. She also has a great interest in helping others who are struggling with bipolar disorder, PTSD, or panic disorders (for which she is seeking specialized training). Denise’s varied training allows her to draw from a large repertoire in assisting others. One of her favorite approaches is using the strengths perspective which empowers individuals to draw from their God-given personal strengths to value themselves so they can set and accomplish goals and undergo therapeutic change. Denise has been “in the trenches” for a long time and loves her vocation now more than ever. She has a Masters degree in Social Work from the University of Tennessee. She has 2 grown children and a son-in-law who is the senior pastor of Keltys First Baptist Church in Lufkin, TX. God has also blessed her with 4 wonderful grandchildren with whom she loves to spend time with whenever she has the opportunity. Virginia is a Licensed Professional Counselor who has 24 years of professional experience in the field of counseling. She has a passion for working with children and adolescents as well as their families. She works with clients who experience a variety of issues, including trauma, depression, anxiety, PTSD, behavior and relationships problems. Since she is bilingual, Virginia is able to provide services to members of our Hispanic community. She believes that God has placed her in a position to serve others. Virginia values each individual and looks forward to helping each person reach their emotional healing and embrace their uniqueness and strengths. Virginia tiene 24 anos de experiencia en consejeria. Ella tiene una pasion por ayudar a ninos, adolecentes y a sus familias . Ella trabaja con personas que tienen una variedad the problemas a incluir trauma, depresion, anciedad, problemas de conducta y problemas matrimonial. Ella cree que Dios la a puesto en una posicion para servir a otros. Ella valora a cada persona y con gusto anhela ayudar a la persona a restorarce emocionalmente y apreciar sus cualidades unicas y sus virtudes. Betty truly believes in bringing honesty and integrity into each session, and has made it her goal to understand her client’s feelings, goals, and interests. She has witnessed the power of counseling and the positive ways it can help individuals navigate through life’s many challenges. She understands the value of empathetic listening and assisting others with setting, committing to, and achieving personal goals. It is important to Betty to create a strong therapeutic alliance with her clients and communicate with them. Betty holds a Master’s degree in Home Economics Education and is certified as a Professional Home Economist. She received her license in 1996 from the Texas State Board of Examiners of Professional counselors. In 2009, she completed her training as a Certified Anger Resolution Therapist (CART). Betty provides counseling for all ages, and has experience in many areas of practice, including eating disorders, marriage, parenting, depression, anxiety, anger and stress management, and career issues. From childhood through late adulthood, there are certain times in life when we may need help addressing problems and issues that cause us emotional distress or make us feel overwhelmed. Or sometimes in life, we may be faced with a life-long condition requiring continual support. Leah views the ability to provide counseling and the opportunity to assist others during their times of need as a privilege and as a calling from the Lord who placed it upon her heart. She sees her responsibility as a therapist to include providing a safe, comfortable, and trusting environment that emphasizes the true value and worth of individuals. While also promoting growth, healing, and a sense of “a purpose driven life”, and empowering her clients with “tools” for problem solving and enhanced life management. It was not until working with children who have special needs did Kallie become fully aware of the various struggles which face our youth. She knew God was leading her to a new life calling, counseling was where she felt the Lord leading her. Kallie feels the number one factor of change is the therapeutic relationship. She knows each individual faces unique and different problems and circumstances, therefore, she strives to meet each client at their personal life and developmental stages. Kallie believes counseling is a growing and learning process which can assist individuals in living a more happy, healthy, and fulfilling life. Kallie graduated in 2007 from Stephen F. Austin State University with an undergraduate degree in Communication Disorders. She relocated to Corpus Christi, Texas where she worked as a speech therapist in a school setting. Through prayers and support from her family, she began working towards a Master of Science Degree at Texas A&M University-Corpus Christi. During her internship she gained knowledge and experience through the University’s Counseling Clinic and a local community center. She facilitated court-referred group counseling for adolescents and families, teen parents, and “at-risk” children. While working with youth and parents presented an array of challenges, she felt it was not work but a privilege to work with these individuals. Kallie received her certification as a Registered Play Therapist in 2016. She is currently the only Registered Play Therapist at Crossover Counseling. Judy achieved a long-time dream when she received her counseling license in 2001. After obtaining her undergraduate degree in Elementary Education and Sociology from Baylor University in 1967, she went on to earn her M.Ed. in Professional Counseling at West Texas A & M University in 1998. 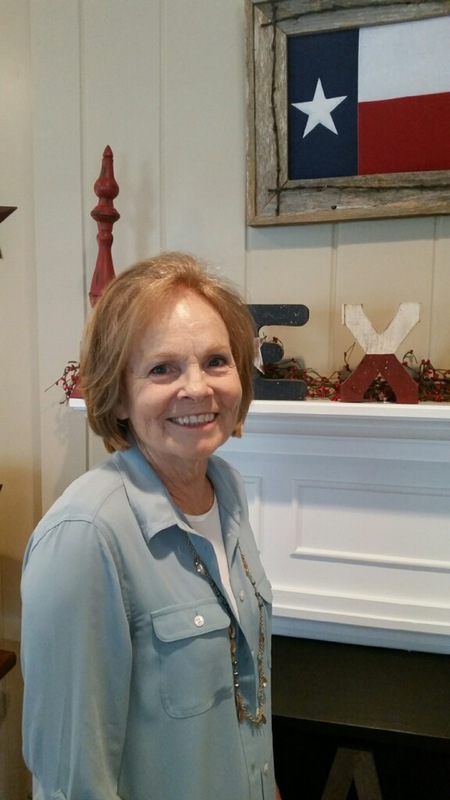 Judy began her counseling career in Plainview, Texas, working with clients who had dual diagnoses - with both substance abuse and mental illness- and she continues to have an interest in that area. After moving to Nacogdoches in 1998, she has provided counseling services at the Women’s Shelter of East Texas, Burke Center, and in a part-time private practice. A hallmark of Judy’s Rogerian style of person- centered therapy is a strong belief in the client’s ability to work through personal issues when provided with a safe, supportive environment. She especially enjoys working with individuals who experience depression and low self-esteem, and considers it a privilege to walk with them on their journey toward wholeness. She has worked with clients in the areas of codependency/boundary issues, abuse, domestic violence and anxiety. Although she knows that true wholeness is possible through faith in Christ’s healing power, Judy is sensitive to meet clients where they are on their faith journey. She is a Stephen Ministry leader at First Christian Church in Nacogdoches and has provided mentor training at Christian Women’s Job Corps. Judy has led Bible studies, as well as, counseled at Nacogdoches County Jail. Malena’s approach to counseling emphasizes the importance of the therapeutic relationship as well as the importance of processing underlying hurt and behaviors that impede change. She works with clients of all ages but especially enjoys working with children through the process of play therapy. Often when children have major life changes in both environment and routine, there can be emotional and behavioral issues that arise. These issues can be addressed through the counseling process using play therapy. The purpose of counseling serves to provide an environment for children to process the changes in their life as well as the accompanying emotions that can be difficult for children to cope with and understand. The counseling sessions are focused on helping each child cope and express his or her feelings that can lead to emotional relief as well as behavioral changes. Malena is a Licensed Professional Counselor. She received her Bachelor of Arts from Baylor University in Waco, Texas, and her Master of Arts in Marriage and Family Counseling from Southwestern Baptist Theological Seminary in Fort Worth, Texas. Malena and her husband have been residents of Nacogdoches for three years and are members of Calvary Baptist Church. Laura sees counseling in her own life as a call from the Lord and has personally seen many lives changed through God’s strength as others align their lives to God and His principles. She believes that counseling is an avenue that can allow clients to take time out of their busy lives and sit down, process and resolve several areas – low self-worth, depression, anxiety, phobias, grief issues, anger management, physical, sexual, and emotional abuse, addiction marital stress, communication, conflict resolution, eating disorders, or emotional intimacy and more. The ideal is for each client to move toward becoming health and whole – physically, emotionally, mentally, behaviorally, socially and spiritually. As a client understands his or her intrinsic value in Christ, as well as the barriers that might be hindering his or her emotional well-being, the foundation is laid to better handle and untangle the pressing counterproductive areas. This allows for complete or and total healing, along with the wisdom and strength to understand and face life in a more alert manner. It also enables us to be able to lead a more fruitful and productive life with true purpose and effectiveness and face any future challenges. She is also sensitive to the clients’ understanding and approach to life and spiritual matters. Yet, she knows that God provides unending love, understanding, and hope to all individuals and has good plans for each one. When lives are aligned for His greater good – everyone wins. Laura and her husband, Bobby, have been married for over 30 years and live in Nacogdoches, Texas. They have three adult children, Joshua, Evan and Ashley. With the exception of her relationship with the Lord Jesus Christ, whom she accepted as Savior at age 8, her relationship with her family is most important to her. After graduating from Baylor University with a Bachelor’s degree in Psychology, she earned her Master’s degree in Counseling through Liberty University in 1992. 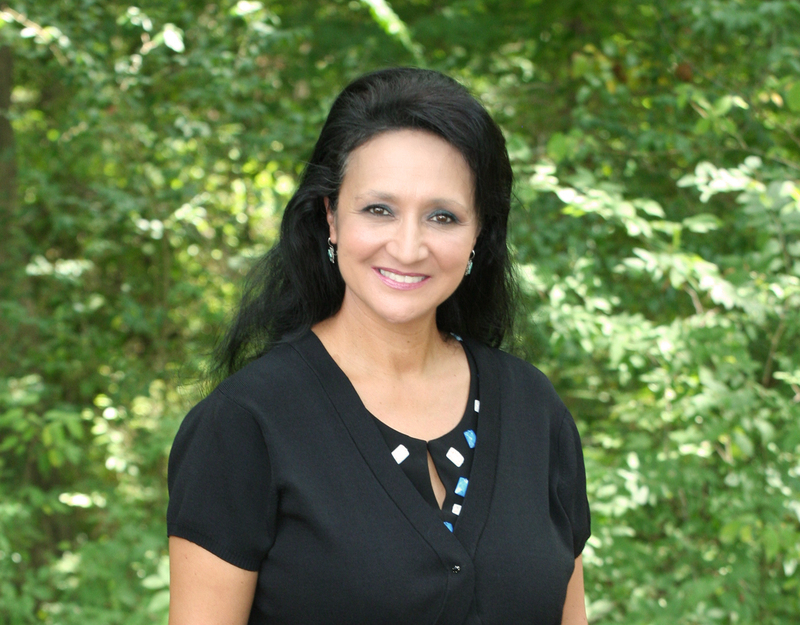 She became a Licensed Professional Counselor in June 1996 and started a private practice in August of 1996 in Nacogdoches, which marked the beginning of Crossover Counseling. Laura is also an LPC supervisor. She continues to enjoy working with children, teenagers, adults, couples, and families. She sees a great deal of strength in her clients, especially with their survival through some very difficult situations. She considers it a privilege to get to have a firsthand view of the changes and victories that can and do take place in their lives. She would also like to say an extra “thank you” to her husband for his continued understanding, love, and support. Joshua has lived in Nacogdoches for 28 years. He received his degree from Stephen F. Austin in 2004 in Criminal Justice and Sociology. He served in Social Work for the next two years before going to work as an investigator for a local Law Firm. He left the law business to pursue God’s calling for his life…counseling. Joshua is available for counseling in the areas of Relationship/Divorce, Spiritual, Life Purpose, Family/Parenting, Wellness, and College Prep/Adjustment. Joshua says, “I believe counseling is going to bridge the ever-present gap between people’s dreams and individuals seeing their dreams come true. As counselors we encourage, support, and push clients to discover and accomplish the goal(s) that they have set.” Joshua enjoys working with people and encouraging and watching them make improvements in their personal, family, social, and professional lives. During college, Joy had the opportunity to work with a counselor in the psychology department at North Greenville University. After this experience, she too wanted to help others cope with life issues and come to a better place in life. Joy views counseling as an opportunity to come alongside those struggling with a myriad of life issues, from situational problems to serious mental illness, and work with them to create a better life. It is also an opportunity to help people learn more about themselves and work towards achieving their goals. Joy has experience counseling with issues dealing with low self-worth, anger management issues, depression, anxiety, marital issues, family problems, health conditions, substance abuse problems, intellectual disability issues, and major mental illness. She has worked with people of all age groups and particularly feels called to work with children, families, and couples. Joy believes the family is fundamental to the growth and strength of our children and that helping families through the many challenges faced will help strengthen generations to come. The tenet of her counseling view is that nothing can be accomplished without Christ. As each person works to better themselves and deal with his or her own situation, it is ultimately Christ who transforms our lives. Joy fully agrees with Apostle Paul when he states, “I can do all things through Christ who strengthens me” (Philippians 4:13). Joy graduated with a bachelor of science in psychology from North Greenville University in South Carolina. She then attended and graduated from Southwestern Baptist Theological Seminary with a Master of Arts in Marriage and Family counseling. Joy has lived in East Texas for three years. For the past three years, she has been counseling at Skyview with clients who have major mental illness and in many cases dual diagnoses. During her internship, Joy worked with several children and adolescents, working through issues related to divorce, anger management, ADHD and various other issues. She also had the opportunity to work with couples for premarital counseling and marriage issues (including financial issues, communication problems, intimacy issues, and parenting). Joy also worked with families to assist them in communication and becoming a stronger unit. Service Area: Janae currently works in our Lufkin office. Janae’s philosophy of counseling is that change is possible. When crisis hits, when addiction takes over, when life becomes too overwhelming, it is easy to remain stuck in the chaos and believe that nothing can change. Counselors partner with each client and guide them through victory in their own journey. Whether they teach, reveal, confront or advise, counselors always listen and provide a safe place for change to begin. Janae believes that the most effective counseling integrates psychological concepts and skills with biblical truths. The faith-based counseling process is a place for change...for growth….for healing. Janae is a licensed professional counselor who moved to Texas in 2010 from her native Oklahoma. 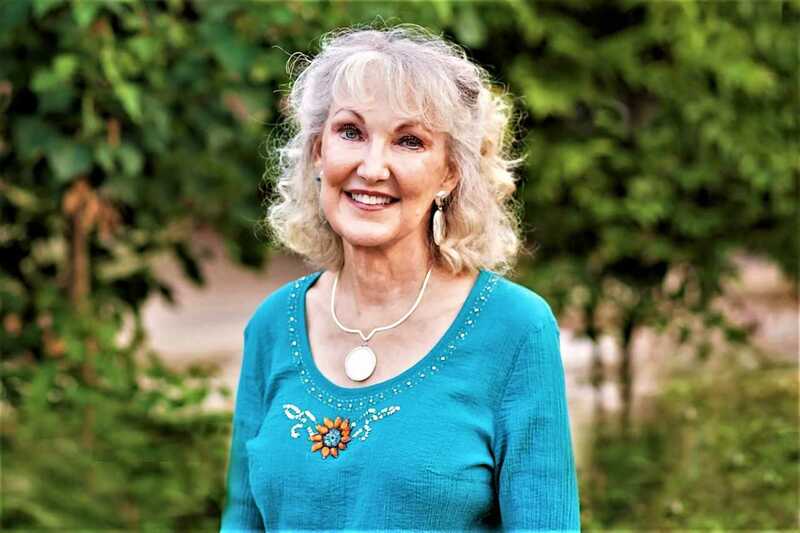 She graduated from Oklahoma Wesleyan University with her Bachelor of Science degree in Behavioral Sciences and from Oral Roberts University with her Master of Arts degree in Christian Counseling. Janae has been involved in the local churches she has attended, including singing in the choir, leading worship, teaching children’s Sunday School and creating and leading a women’s ministry program. Janae’s experience in counseling includes working with children, adolescents, adults, families and couples. She has also worked with people who have many different mental health and life issues including depression, anxiety, ADHD, divorce, infidelity, self-esteem, anger management and Bipolar disorder. Janae is married with two sons. Her interests include spending time with her family and 2 dogs, staying involved with her sons' schools, traveling, reading, singing, scrapbooking and biking. Jan is a Licensed Professional Counselor and a Licensed Chemical Dependency Counselor with more than 20 years of experience, having worked in a variety of settings with children, adolescents, and adults. She received her Bachelor of Science and Master of Education Degrees from Stephen F. Austin State University and also holds a Secondary Teaching Certificate in Family and Consumer Science. During her career, Jan has worked in both residential and outpatient substance abuse and mental health programs, in legal institutions, and in assisted living facilities. As a result of having lived with challenging life and family circumstances, as many of us have, Jan believes that grace, faith, and redemption prompted her to pursue a counseling career. Through the process of counseling, individuals often have the opportunity to gain insight and self-awareness, begin to heal, and even recover from situations that at one point in time appeared absolutely overwhelming and unmanageable. She works from the standpoint that we all have strengths and that we can build on and through them. However, a safe environment, encouragement, support, information, and a sense of "community" are often essential for the insight and healing to occur. Jan works from the premise that in the right relationship with God and others, each individual finds their own answers. Due to grace, healing, and opportunities in her own life and those of her family, Jan is passionate and committed to being of service to others. Jan is a member of First Christian Church in Lufkin, as well as an active member of the local recovery community. "As each has received a gift, use it to serve one another, as good stewards of God's varied grace", 1 Peter 4:10. Charles came to Crossover Counseling with over 20 years of experience by way of a winding path. He received his Bachelor of Architecture degree from North Carolina State University and worked in the profession for twenty-two years, attaining his license as a registered architect. When God called him to a broader use of his talents, he returned to school and gained a degree in counseling from Stephen F. Austin State University. His work experience has been varied, working in a psychiatric ward in a hospital, an inpatient residential treatment center for teenage boys placed by CPS and a psychiatric prison hospital for TDJC. These experiences have given him exposure to severe mental illness and the issues associated with it. This combined with his active church life taught him to approach his by searching for Christ within themselves. There is also an acceptance of all people as child of God and finding His fulfillment in their life. Charles provides services in mood and psychotic disorders, premarital/marital counseling, substance abuse, issue resolution and resolving purpose and existence in life. He and his wife, Susan, have lived in Nacogdoches since 1991, and are attending members of Christ Episcopal Church. They have two adult children, who live in Austin, Texas and Seattle, Washington. Ashley grew up in Nacogdoches and attended Nacogdoches High School. After graduating high school, Ashley attended Houston Baptist University and went on to complete her Bachelor's degree in Interpersonal Communication at Stephen F. Austin State University. Growing up, Ashley always had the desire to pursue a career in law. She was accepted into St. Mary's School of Law in San Antonio, Texas, where she was a student for one semester. During her law school experience, she felt that being an attorney was not her passion, after all. After leaving law school, she worked several different jobs over a number of years, while trying to figure out what field of work she was called to be a part of. Ashley has always had a heart to help others, in whatever capacity that may be. She has personally struggled with major depression and anxiety, and has felt God call her for years to somehow use her experiences and difficulties to help those going through similar troubles. Finally, Ashley decided to pursue counseling. In November of 2017, she earned her Master's Degree in Professional Counseling from Amberton University. After graduating and passing her NCE, she is currently practicing as an LPC-Intern for Crossover and working to complete her 3,000 hours toward her permanent license.